Mom & World Tear Free Baby Shampoo is just perfect for your baby as it effectively cleanses, softens and nourishes your munchkin’s skin and hair. 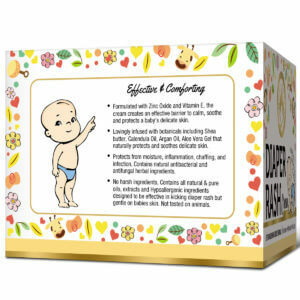 It contains exceptional ingredients such as Oat Kernel extract, Sweet Almond Oil, Argan Oil, Glycerine, Wheatgerm Extract, and Aloe Vera that leaves your baby’s skin moisturized. The natural ingredients makes it perfect for new-borns to toddlers. Mom & World Tear Free Baby Shampoo delivers protection and care to baby’s hair and skin right from the first bath. This shampoo is safe for your baby’s eyes as it does not cause any burning sensation or irritation. Created keeping in mind baby’s sensitive skin, you can be assured that it is free from phosphates, parabens, sulfate, and harsh chemicals. New mothers can easily trust the product because of the high-safety standards followed by the brand. 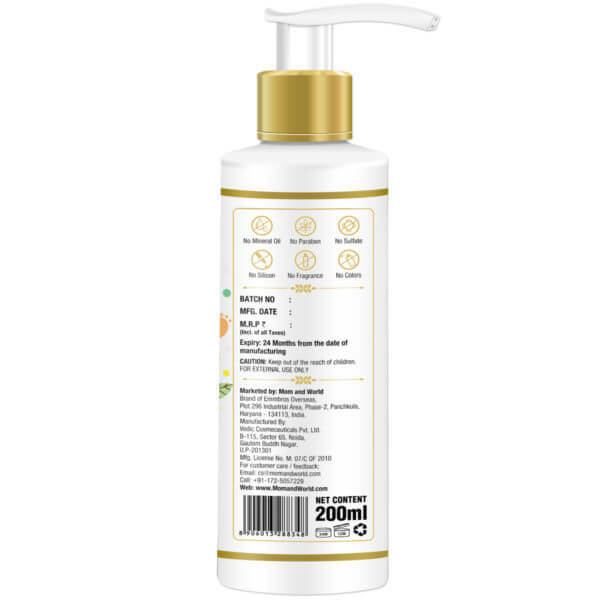 The gentle formula containing natural ingredients lathers up with soft foam to wash away all impurities. It leaves your baby’s skin healthy, hydrated and replenished. The product is ideal for babies in every aspect of safety and protection. 1. Mom & World Baby Shampoo is mild and gentle on the delicate eyes of the baby. The ‘Tear Free’ formula perfectly cleanses and rinses baby’s locks making it soft, clean and manageable. 2. The product can be used by infants, toddlers, kids, teenagers and can be used by adults as well. The shampoo retains moisture thereby reducing scalp dryness. Besides its moisturizing properties, the ingredients in the shampoo help nourish the delicate hair of your little ones. 3. The hypoallergenicity makes Mom & World Baby Shampoo a perfect choice for new-borns plus it is dermatologically tested. 4. It does not contain parabens, petroleum-based ingredients, perfumes, caustics, dyes, animal by-products, or eye-numbing agents. 1. Why should I buy Mom & World Tear Free Baby Shampoo? Mom & World is a brand known for its mother and baby products. They know what is best for your babies. 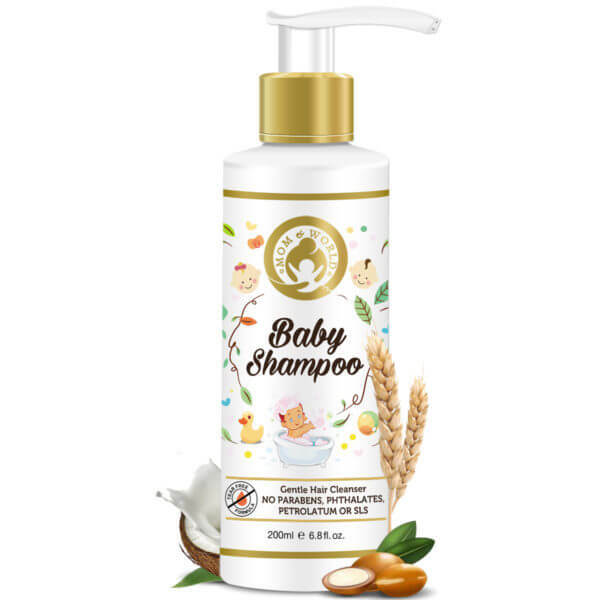 The shampoo is specially made with organic and natural ingredients to cleanse the delicate hair and skin of your baby. The ‘Tear-free’ formula ensures that it won’t sting your baby’s eyes and perfectly cleans the delicate skin without leaving any residue. 2. What does ‘Tear Free’ mean? ‘Tear Free’ formula turns the bath time of your baby into playtime. This unique formula makes the product mild, safe and gentle on your baby’s developing eyes and skin. The product is comprehensively evaluated for its mildness and safety. The product does not contain any numbing agents. 3. My baby’s skin is sensitive. Will Mom & World Tear Free Baby Shampoo work for my little one? Mother & World Baby Shampoo is formulated with natural ingredients to moisturize and soothe sensitive skin. The product is gentle and pure enough to take care of your baby’s sensitive skin. First wet your little one’s hair and massage in a small quantity of the shampoo until it lathers and then rinse your baby’s hair thoroughly. Actives: Aloe vera (Aloe Barbadensis) Leaf Extract, D Panthenol (Vitamin B5), Sweet Almond Cold Pressed Oil, Organic Moroccan Argan Cold Pressed Oil, Oat Kernel Extract, WheatGerm Extract. This shampoo makes good amount of lather and rinses off easily. Leaves scalp and hair thoroughly clean and hydrated.